What Is a Nursing Home Death Case Worth in Maryland? We have been handling more and more nursing home cases in the last few years. How much is a nursing home case worth in Maryland? Well, nursing homes think a strong liability nursing home death case in Maryland is worth between $200,000 and $250,000. We disagree. Strongly. This disagreement is bound to come to a head very soon. 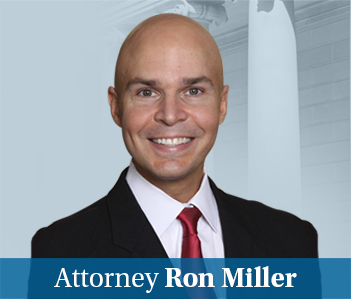 Most of the best malpractice lawyers in Maryland are not taking nursing home cases. Why? Maryland nursing home cases rarely have a lot of economic damages so you are limited to the cap on damages in Maryland. So our “best day” value in 207 for a nursing home case is between $785,000 (for one wrongful death beneficiary) and $981,250 (more than one beneficiary). Why? This is Maryland’s cap on non-economic damages in action. Nursing home cases rarely have significant economic damages you can collect at trial. Are the attorneys’ fees with that outcome a lot of money? Sure. But you often have a number of experts in these cases. The cost, time and effort to work these claims are significant. The settlements have generally been low because the nursing homes have the luxury of knowing that a $10 million verdict will get knocked back to less than a million dollars. There are a few cases we have now where the nursing home has made pretty clear they have no intention of meeting our demands. In a few of these cases, I have clients that are going to want to hold their ground. So are they going to be willing to go to trial? That remains to be seen. Like a lot of people, I enjoy pretending to be Big Time. There is a lot of money on the line and I make decisions that impact people. This is absolutely true on some level and defense lawyers help me out by pretending this is all big money, life and death stuff. Because it is to them, too. In the big picture, it is not. I’ve always said that no matter how strong you think you are, there is 120-pound woman warming up with what you max. The same is true with these nursing homes cases. There is a much bigger billion dollar game being played where my clients are peons. The nursing homes are printing money back at headquarters and our quarter million dollar disagreement on the value of these cases is a rounding error. They do not want to send a message to me and my ilk that these cases are worth more than they are being valued at now because that would eventually cut into some of the profits. They have proven that they take every penny seriously. But, ultimately, the end game is to keep up the image of the nursing home as a good “citizen” in our community that is doing right by our elderly. This is the path to obscene profits, not fighting in the weeds on settlement value with me. And it is certainly not in seeing themselves in the Maryland Daily Record or the Baltimore Sun after getting hit with a huge verdict. Big verdicts — even if we cannot collect the entire verdict because of the cap — is what these nursing homes fear because they know it will have a chilling effect on sales which is where the real money is. As I said in the beginning, many of the best malpractice lawyers in Maryland do not take nursing homes. For a while, it was Miller & Zois’ policy to just skim the top to take the best nursing home cases. This is because the economics of the cases are hard with the cap on damages and the lack of economic damages. So while there are certainly a lot of great nursing home lawyers in Maryland, there are also a lot who are happy to get $150,000 to $200,000 for a settlement. This deflates the value of these claims and it helps set the price for nursing home cases in Maryland. The only way to change that — win or lose — is for the best nursing home lawyers to start trying these cases. Often the problem is the clients want to accept less than the fair value. This is understandable. They don’t want to accept the risk and they do not want to relive the loss. This is what saves these nursing homes in most cases. In the past, we have gotten what we think we should in nursing home cases because the nursing home or the insurance carrier ultimately decided that the facts were unique. But the vibe I have gotten in our last few mediations is the nursing homes are going to hang their hat on the cap and the fact that we are in jurisdictions that generally do not award a lot of money. This is all going to come to a head next year because we have clients who see the cases the same way I do. They are going to pay us what we think justice demands (not real justice but “in light of the Maryland cap on damage malpractice cases” justice) or the case is going to go to trial.